Man is made of dust and to dust he returns. We, human beings are so intimately connected to everything that is about this earth, the soil and the dust but in our utopia of cleanliness and neatness, we make all efforts to keep our pretension of removing them from our life day in an day out without realizing that they are woven into our very fabric of life. Whether it is the food we eat or the vessels in which we eat!! Earthern vessels were a part of our daily life till some years ago. It has taken a backseat with all the wispy, feathery plastic and glass vessels taking its place in our kitchens and the showcases. But the taste, the aroma and the healthy aspects of earthern pot is still intact. It is rare to see people making and selling these pots now. It was only a couple of decades ago, we used to store water in these earthern vessels called `Ghada’ in Hindi. In the golden days that were when people used to care about their fellow human beings, big Ghadas filled with water used to be kept outside big buildings and roadsides for quenching the thirst of passersby and the pedestrians. Commercialization has taken over this simple act of charity and converted this tradition to selling bottled water in its place. 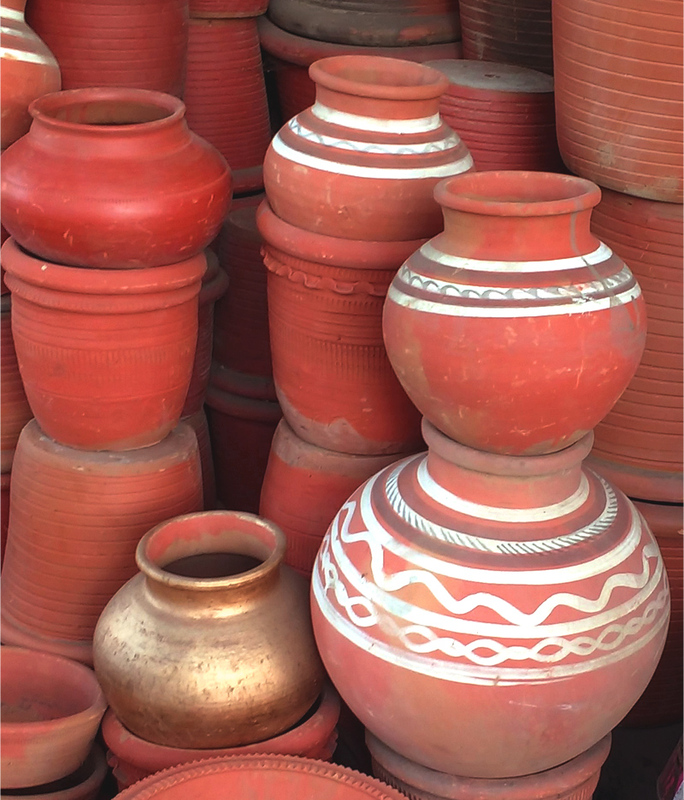 There were earthern pots to suit different needs. There were pots in which we could cook vegetables and rice. These were used to set our curd and there was no need to hang the curd as all the water would ooze out automatically through the pores of these vessels and one could have a tasty, pure and healthy curd, thick in texture. 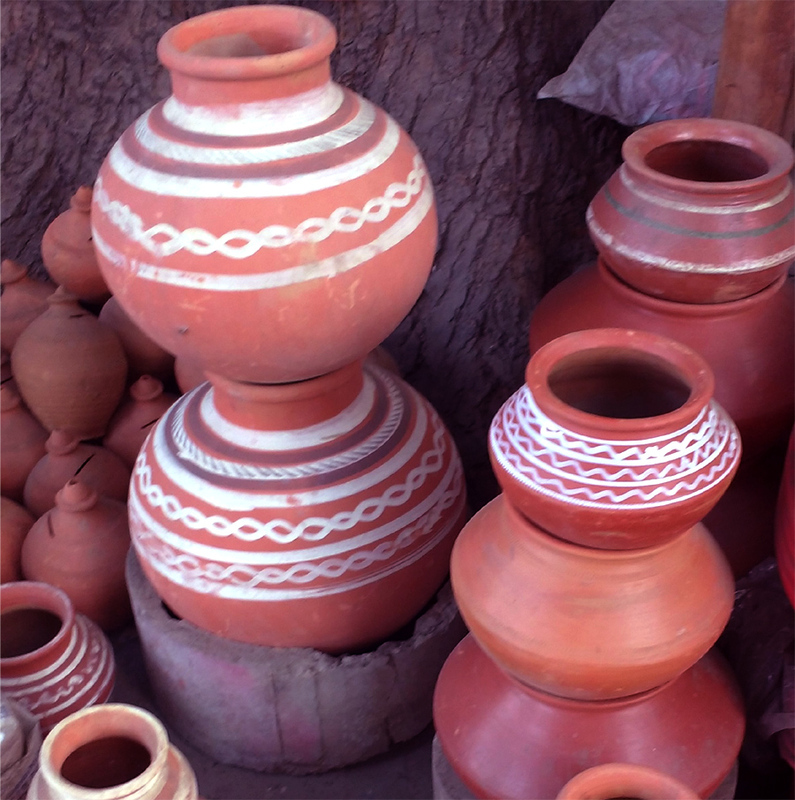 These pots would also be used to churn out butter using wooden ladles. Even tea was served in small glasses made from clay called “kulhad” in Hindi. These were made compulsory in Railway Stations some years ago to reduce the usage of plastic disposable glasses. However, it has become a rare sight. 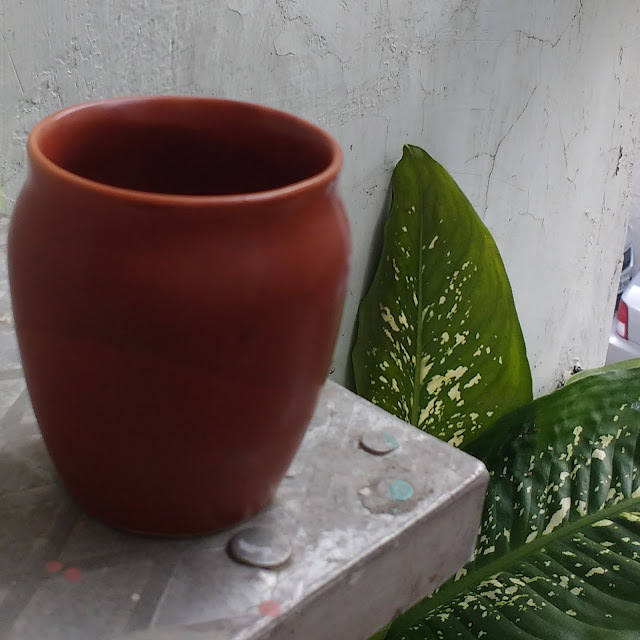 There were other items too, like the little money pots, flower pots, clay diyas widely used around Diwali festival, craft items like elephants, idols of god and other little animals.